The 50th anniversary of the Chevrolet Camaro and Pontiac Firebird will be celebrated with a display featuring some of the most recognizable machines from movie and television and other unique models during the April 6-9 Pennzoil AutoFair presented by Advance Auto Parts at Charlotte Motor Speedway. To a young generation of muscle car enthusiasts, the Camaro is best known for its appearances in the "Transformers" movie series. The yellow-and-black Bumblebee began life in the 2007 "Transformers" as a 1977 Camaro, then returned in 2009's "Transformers: Revenge of the Fallen" in the form of Chevrolet's 2010 concept vehicle, and finished that first trilogy as a 2012 production model in 2011's "Transformers: Dark of the Moon." AutoFair will feature a '77 Bumblebee from the first movie and a tribute model of the '10 Camaro. Pop culture of the 1970s and '80s was richer for its inclusion of Pontiac's Firebird in such movies as 1977's "Smokey and the Bandit," the 1974-'80 television series "The Rockford Files," and the 1982-'86 "Knight Rider." Stars of these films and programs will be part of the special anniversary display, transforming the AutoFair's Classic Car Showcase Pavilion into a virtual museum of some of the most recognizable four-wheeled stars of the last half-century. In addition to the motion picture machines, several other important Camaros and Firebirds will fill out the golden anniversary exhibit, including an extremely rare 2016 Trans Am conversion by Trans Am Depot and a very limited-production Corvette Bronze 1968 Camaro from the Hendrick Heritage Center. 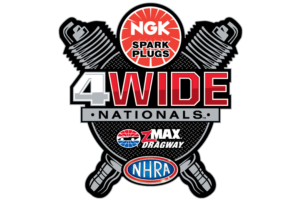 Hours for the April 6-9 Pennzoil AutoFair Presented by Advance Auto Parts are 8 a.m. to 6 p.m., Thursday through Saturday, and 8 a.m. to 4 p.m. Sunday.